HEIScope SZII Series Eyepieces are High-Eyepoint with a large Field of View. The HEIScope SZ Series Eyepieces have adjustable eyepiece diopter correction, 22mm field of view, the tube outside dia. 30mm. The HEIScope SZII Series Eyepieces come in 10x, 15x, 20x, 25x, and 30x. The HEIScope SZII Series Eyepieces are sold in pairs. 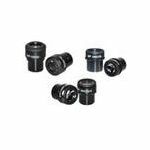 Purchase HEIScope SZII Series Eyepieces sold by Howard Electronics Today!